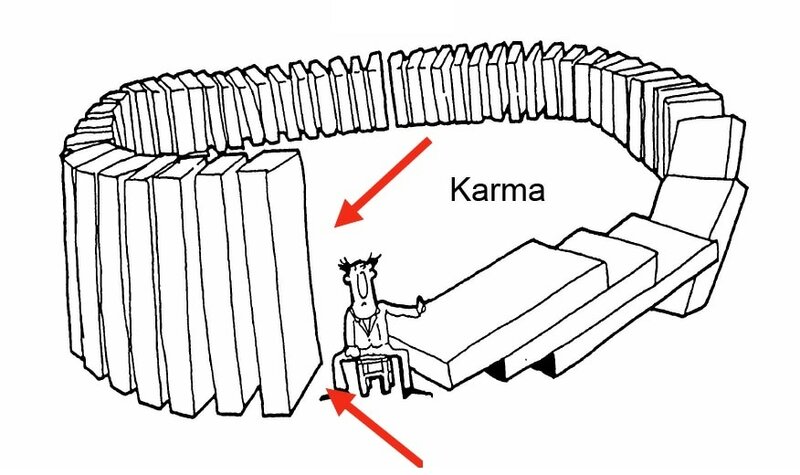 Karma simply means action. No more, no less. It is the way of the world: a law of action and reaction. Physics shows that for every action, there must be an equal and opposite reaction. 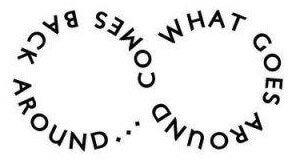 Karma is energy, which in itself is neither good nor bad; these are just the labels people choose to attach to it. The energy created by an action has to be returned: “As yea sow so shall yea reap.” It cannot be avoided. When you perform an action, it creates a memory, which in turn generates a desire, which leads you to perform another action. For example: You take your first yoga class (action), then you know what happens in a yoga class (memory), and if you enjoyed the class, you decide to go back the following week (desire), and that following week you turn up again with your mat (action). Karma creates memories and desires, which then determine how you live. Actions, memories, and desires are the Karmic software that run your life.